We have developed over 2000 bearing sizes. We are constantly adding more items to our product range. Our ability to quickly develop new items has given us the competitive edge over other manufacturers. 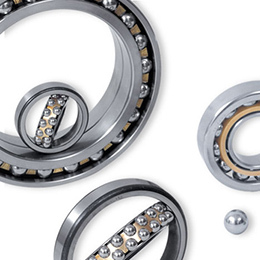 Our motto is to be a single source for all types of rolling bearing and its components. Our catalog has our current product range listed in it. If you do not find the items you are looking for our, please contact us. We will try to develop them. Copyright © 2018 Max Precision Bearings Pvt. Ltd. All Rights Reserved.